Aurora Florez has been located and is safe. The Dallas Police Department is seeking the public’s assistance in locating critical missing person, Aurora Florez. Ms. Florez was last seen on November 23, 2017 at about 12:24 a.m. in the 3800 block of Spence Street. She was last seen on foot headed in an unknown direction and may appear disoriented. 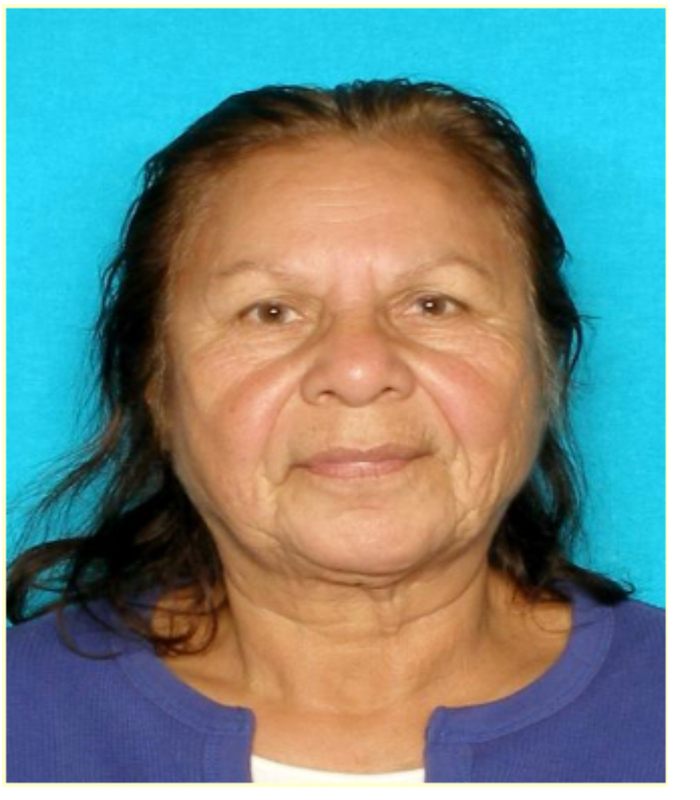 Ms. Florez is described as a 74-year-old Latin female with gray hair and brown eyes. She is 5’02” tall and weighs about 140 pounds. She was last seen wearing a pink beanie, pink sweater, blue jeans and black shoes. If anyone knows the location of Aurora Florez, they are asked to please call 9-1-1 or the Dallas Police Department Missing Persons Unit at 214-671-4268.